In my earlier blog post about VPNs, I looked at a range of VPN options. The strongSwan wiki documentation is generally quite good but it doesn't describe the exact procedure for an Android user anywhere. This blog aims to fill that gap. Here I am sharing some working examples of how to configure and use RSA certificate authentication between a Linux box and an Android phone using strongSwan. There are several commands to execute for each step, but they can be easily scripted. Debian 7 (wheezy) has strongSwan 4.5.2. Certificate creation: private certificate authority "example.org CA root"
For production, I would highly recommend creating your own root CA on a smart card and managing it from a clean machine without any network connection. Copy the cert bundle (the p12 file only) to the SD card in the phone. 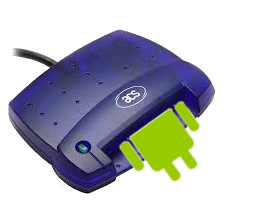 You can mount the phone over USB or using ADB, e.g. Now go to the Android settings, select Security and Install from SD card. Follow the prompts. Finally, restart ipsec and you should be ready. Finally, install the app on the phone. This bit should be quite easy. Once installed, press the option ADD VPN, put in the DNS name of the VPN gateway (must match the name in the certificate, e.g. vpn.example.org from the example above) and tell it to use IKEv2 Certificate as the authentication type. Press to select a certificate and highlight the certificate that you installed earlier. You should see a message on the phone telling you it is connected to the VPN. If it fails, it will let you see the log messages. If you see the error Constraint check failed it often means that the subjectAltName was not included in the VPN gateway's certificate (see the steps above) or the DNS name doesn't match the name in the certificate. Once the packets are decrypted by strongSwan on the VPN gateway, the kernel will route them appropriately just like any other packet. Use standard Linux netfilter/iptables rules to ensure that routing is restricted appropriately so that the clients can access the services they need and nothing else.